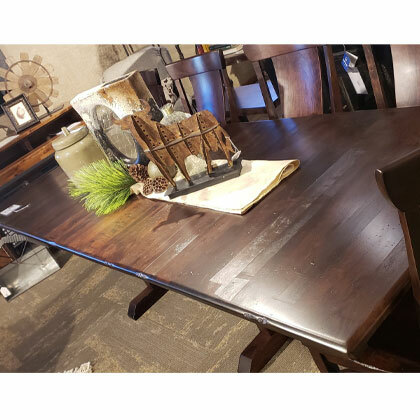 Custom-built by Amish tradesmen and?hand-crafted in the USA, this beautiful dining set will be able to seat the whole family! 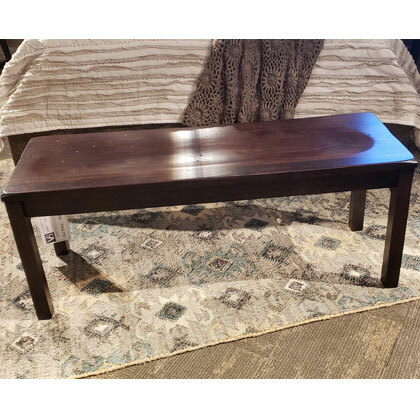 The plank table is?42″ x 72″, but can extend to 120″ when the four 12″ leaves are inserted. 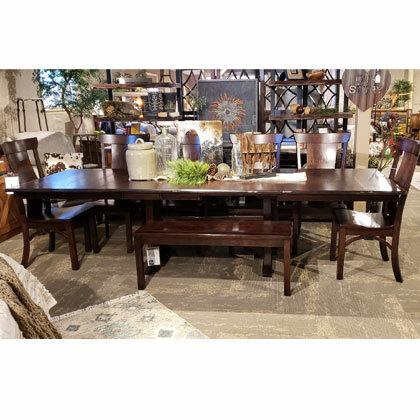 The table is built with a striking?double pedestal base for the necessary support of such a large table. 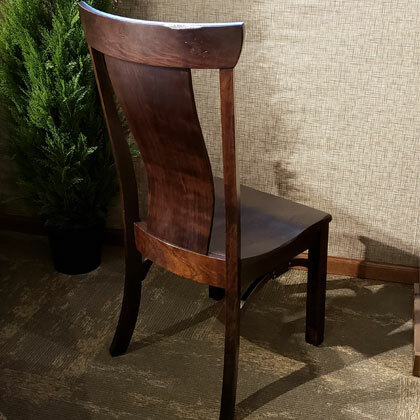 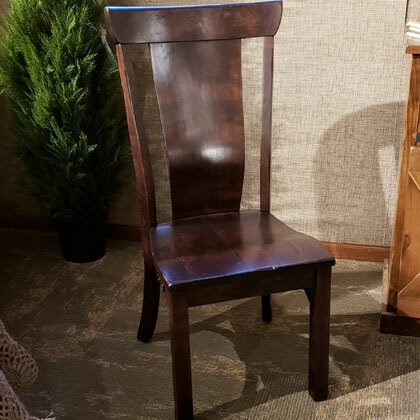 ?The dining side chair has a curved back support for hours of conversation. 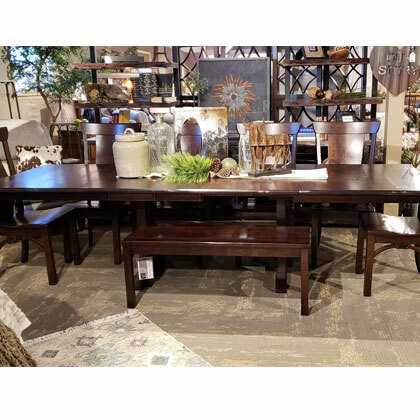 The dining bench provides additional seating when your table is extended, or can be used as a beautiful piece in your entryway. 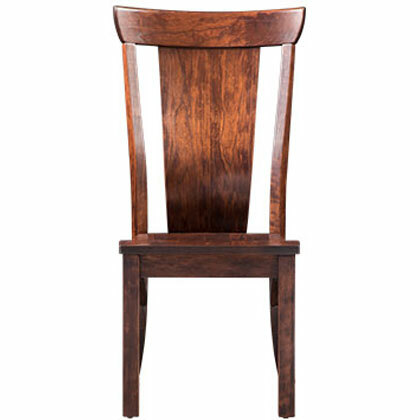 Crafted from Rustic Cherry with a Rich Tobacco stain and medium distressing to give it that it’s-been-in-the-family-for-ages look.